The American, the Newmans newest brand, is an audacious project, as rolling cigars in the U.S. can be expensive. Twenty-four hours ago, I was in Brooklyn, enduring the cold and final gusts of a nor’easter as it moved through the region. Now I find myself walking in sunny Tampa, approaching the stately red-brick El Reloj building, home of the J.C. Newman Cigar Co. since 1953. Spanish for “the clock,” El Reloj was built in 1910 and its official name was actually The Regensburg factory. 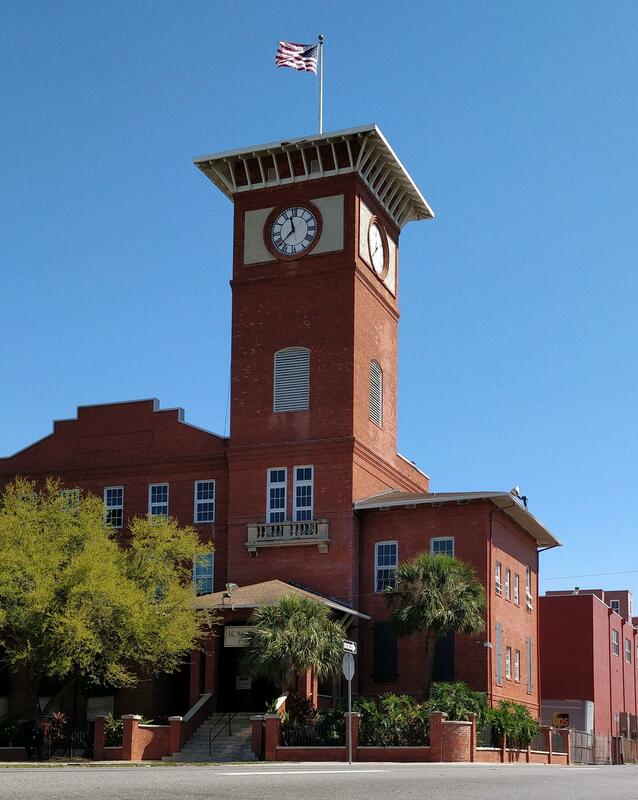 The Tampa landmark received its nickname because of its handsome clock tower that looms over the Ybor City neighborhood. For decades, locals counted on the clock tower’s hourly chimes to schedule their days, while inside, workers at The Regensburg Co. made a popular cigar brand named Admiration. 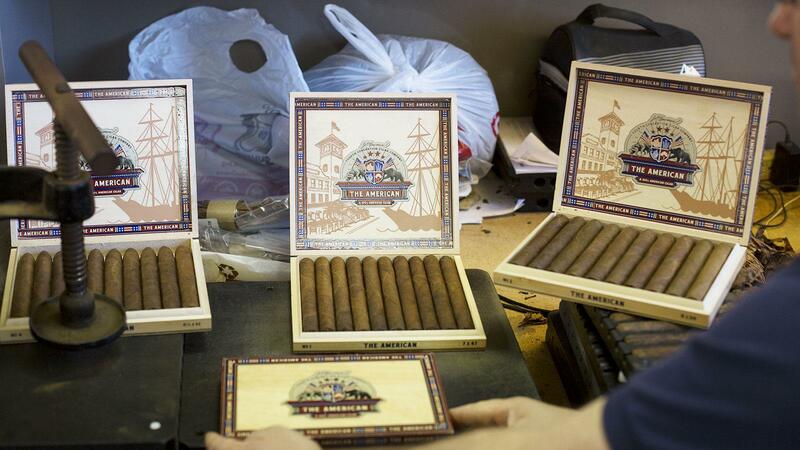 Back then, Tampa was considered the cigar manufacturing center of the world, with some 60 cigar factories rolling cigars. All of these factories, like El Reloj, were three stories high and ran east to west, with the broadest side of building facing north. The indirect northern light made it easier for the workers inside to sort the tobacco. Today the factory is a relic, a reminder of Ybor City’s glory days. The surrounding area is still filled with one-story “shotgun houses,” so named because you could fire a shotgun through the front door and the blast would go right out the back door without hitting anything. In the past, cigar factory workers lived in these homes, but today it’s just regular families. The factory, however, is far from dormant. Here the Newmans produce bargain brands such as Rigoletto Black Jacks and Mexican Segundos, which are made on ancient machines that date back to the 1910s. But the Newmans have begun to once-again roll premium cigars here (more on that later). Inside, I was greeted by Eric Newman, the affable president of J.C. Newman. Eric and his brother, Bobby, oversee the factory. Just as Eric begins his walk through of the factory, a mechanical noise comes from the next room. In the next room is the mechanism that controls the clock. Refurbished in 2002 by the Newmans, the clock was resetting its gears, and with a Willy Wonka-ish grin, Eric proudly pointed out how a set of weights was descending to reset the pendulum in the floor below. As it reset, one could hear the bell above chime. Spanish for “the clock,” El Reloj was built in 1910 and its official name was actually The Regensburg factory. We started our tour in the building’s basement. Some bales of Cameroon leaf and Pennsylvania broadleaf rested on a pallet near a bale of pre-Embargo Cuban tobacco that Eric’s father, Cigar Aficionado Hall of Famer Stanford Newman, saved. While one section of the basement was littered with old, rusted machine parts, another section was used to case the tobaccos the company imports into the United States. From the basement we made our way to the roof of the factory, where we were treated with lots of sun and a splendid view of the area. Eric pointed out the old Hav-a-Tampa cigar factory (now mothballed) as well as the U.S. headquarters of Arturo Fuente, longtime partners with the Newmans. We then took the stairs one flight down to the third floor. Here a worker was feeding clumps of damp tobacco into a machine that broke them down into lighter bits. The worker would then dump the tobacco into a hole in the floor that funneled into a storage room on the second floor. Walking onto the second floor, it felt like I had stepped into a time machine. The wood floors creaked under the weight of dozens of machines that were rolling cigars. These machines aren’t like modern cigarmaking devices, however, but still must be hand-operated by factory workers. No digitization here, but pure mechanics. Additionally, the machines are so old that the Newmans have a couple people on staff whose sole job is to ensure that intricate machines, which have about 10,000 working parts, run smooth. Oftentimes, the maintenance workers must create their own parts in order to keep the machines working, since there are no longer and parts manufacturers for the machines. In the corner, though, were two rolling tables where a man and a woman were rolling premium cigars by hand. They were rolling The American, the Newmans newest brand, which is being spearheaded by Eric’s son, Drew. The Florida-grown wrapper on The American has a slightly reddish tint to it and is dotted with oils. Everything concerning the new incarnation of The American is made in the United States. The boxes are constructed out of basswood sourced from within the U.S. and are made by Miguel Cabrera's Millenium Wood Box located in Miami. The labels are printed by Action Label, a company owned by Jason and Ryan Schenck that's located in Orlando. And Nick Nanavichit and Matt Cohen of Nsolo in Miami designed all of the art. The new cigar is an American puro that features wrapper grown in the Florida sun by retailer Jeff Borysiewicz, a Connecticut broadleaf binder grown by seventh-generation farmer John Foster, with fillers that include tobaccos from Pennsylvania and Connecticut Habano also from Foster's farms in the Connecticut River Valley. The Florida wrapper has a slightly reddish tint to it and is dotted with oils. The American is an audacious project, as rolling cigars in the U.S. can be expensive, especially when everything involved is also made in America. After the tour, Eric and I, along with his new co-marketing directors Kara Guagliardo and Monica Foster, took a short drive over to the Columbia, Ybor City’s famous historical restaurant (and the inspiration for Carlos Fuente Jr.’s new factory expansion.) After filling my stomach with the restaurant’s famous 1905 salad and a mojo chicken sandwich, we headed back to the factory to light up some cigars. Sitting in a lounge area on the top floor of the factory, I lit up an American toro with Eric and Richard Dolak, vice president of J.C. Newman. The Florida wrapper is immediately noticeable on the first few puffs, as it offers a distinct creaminess with a slight edge of black pepper. 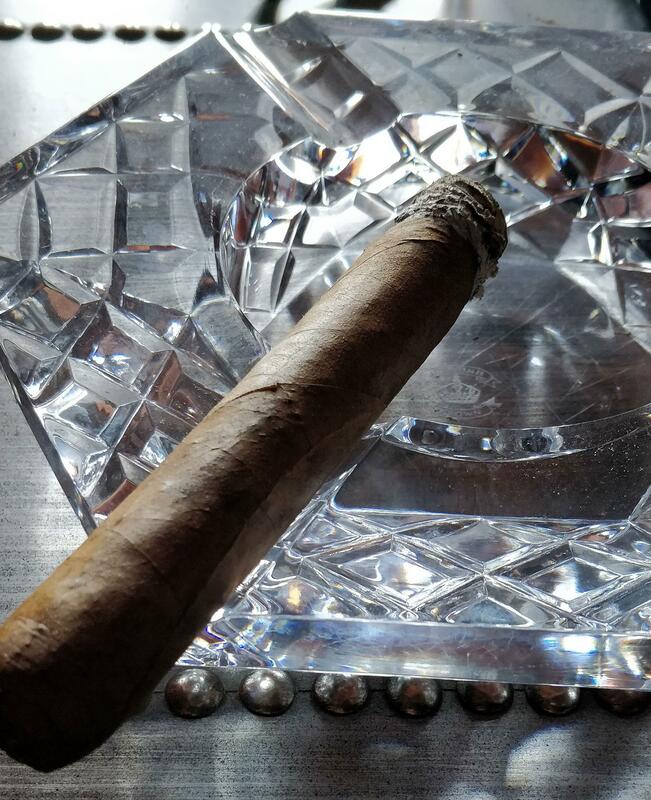 The cigars we smoked had only been aged a few weeks, so there was a rawness to the tobacco, but still it was a pleasant and memorable smoke. But not as memorable as walking through a 108-year-old cigar factory.